Hello readers, I’m back! Yahooo!!! After few months bumalik na ulit ang sipag ko sa pagluluto. (Well sana nga magtuloy tuloy na sya para naman humaba na ulit recipe list ko.. Hehe). Honestly, it’s soooo hard for me to update my blog. 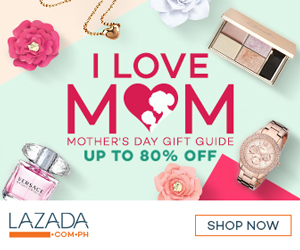 Pano ba naman naglilipat kami ng office last week (from PH1, napunta kami sa 6th floor) and ako na yata ang pinaka busy empleyado ng Friendster during our transfer (Admin Job) plus being a super hands-on mom and wife at the same time is sooooo hard and nakakapagod pero masaya (ika nga ng asawa ko, para akong si curacha, walang pahinga! ), kaya super duper dami kong pending na post na I want to share (hopefully matapos ko sya lahat). I’m so excited to share Rhian’s 1st solid food experience, our anniversary celebration, his/her surprises, etc. but for now, I will share you the recipe I got from my officemate (Thank You Ame!). Actually, nag start to when The Good Box sent me a one full day meal c/o Mommy Bloggers Philippines, pinatikim ko sa kanya yung meal for dinner that’s why nagka idea sya na about it. 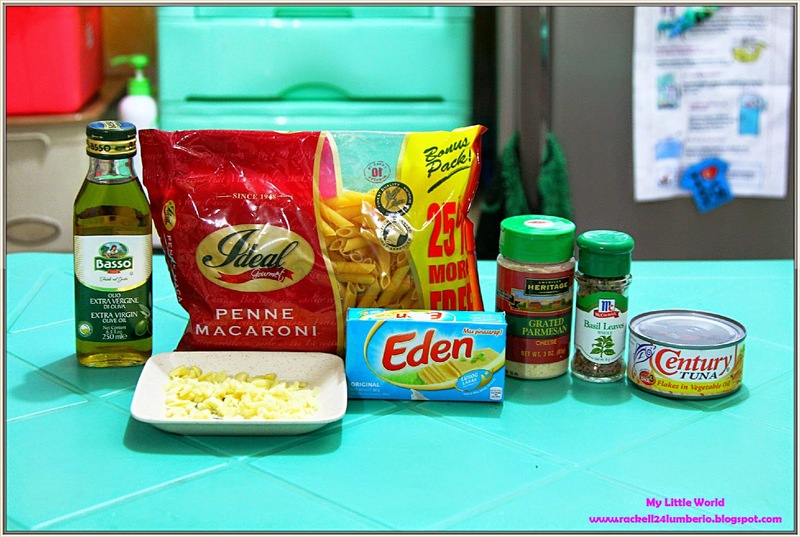 This recipe is super duper simple from the ingredients to the procedures super dali lang nya. Kayang kaya nyo tong gawin kahit nakapikit kayo. Hehe. 1. Boil 4 liters of water. 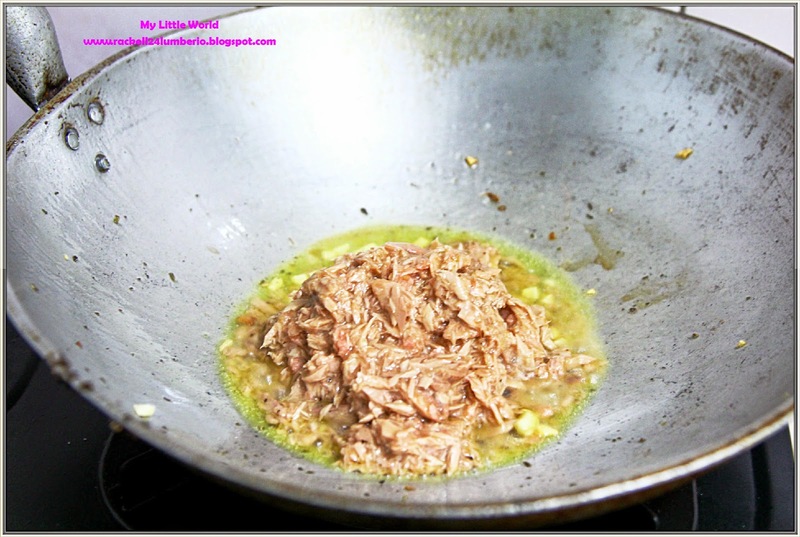 Add 1 tablespoon salt and olive oil. 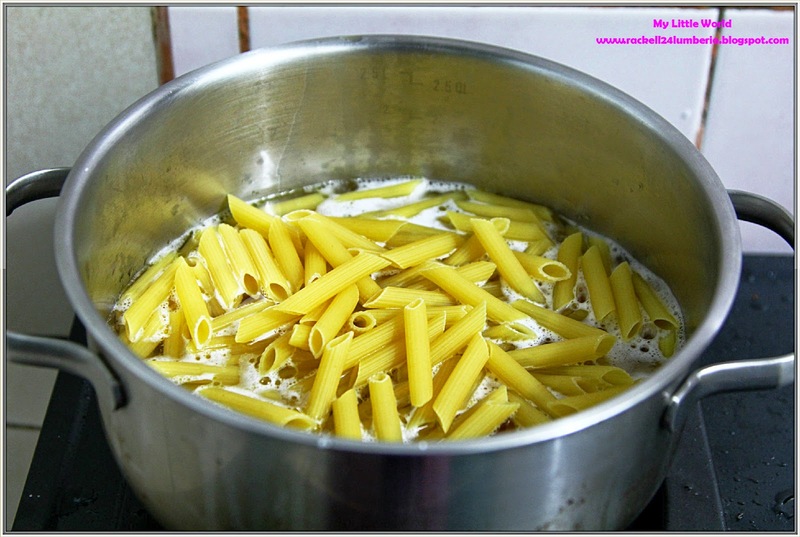 Cook the penne until al dente. Cook for 8-10 minutes or until tender. (Note: Stir occasionally to prevent pasta from sticking together). Drain immediately. 2. 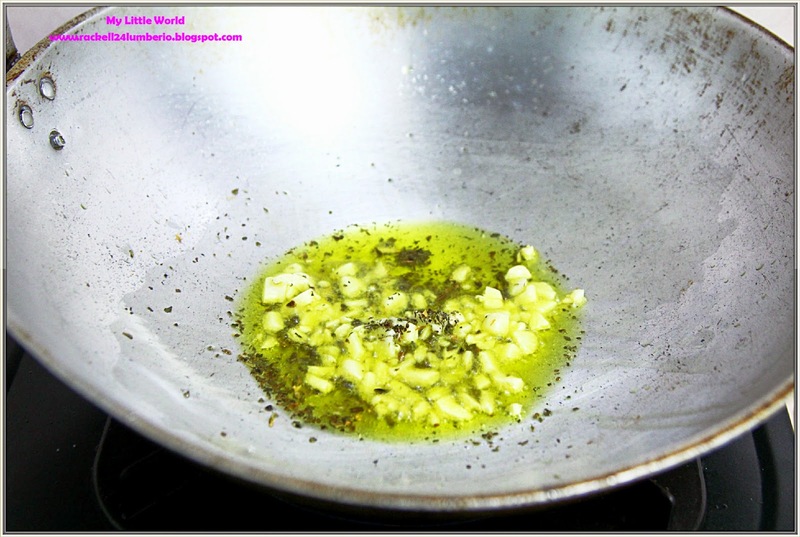 In a large skillet, saute the garlic and basil leaves in olive oil over low heat. Once done, set aside. 3. 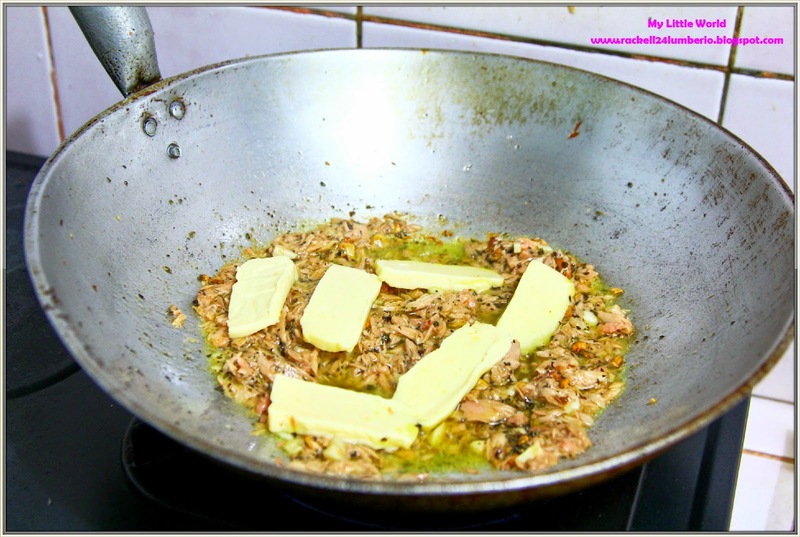 Using the same skillet, saute drained tuna. 4. Mix with the sauteed garlic and basil leaves and cheese. 5. 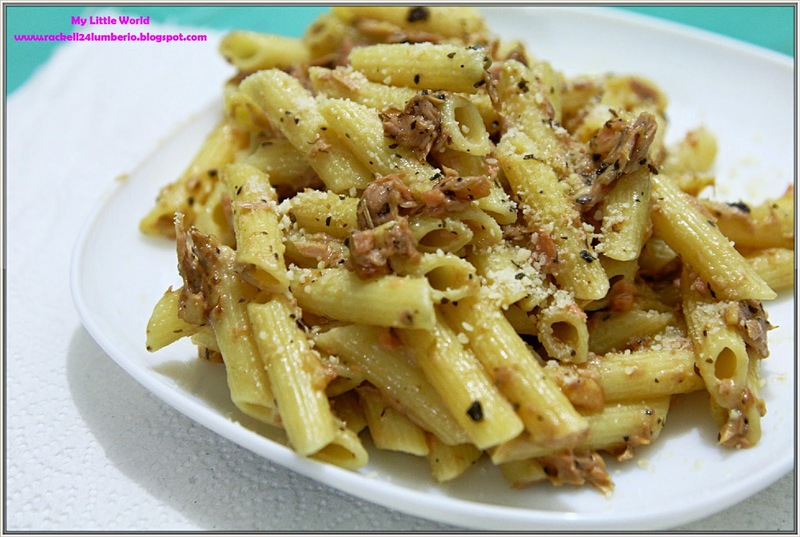 When the cheese begins to melt, add the drained pasta to the skillet and toss well to combine. Low heat may be needed to evaporate and bind everything together. 6. Toss in Parmesan cheese and serve hot. So easy right, you can also use chicken if you want. This is what I served during our dinner last holiday (July 29) and you know what, super nagustuhan ng asawa and tita ko plus may natira pa kaya binaon ko the following day. 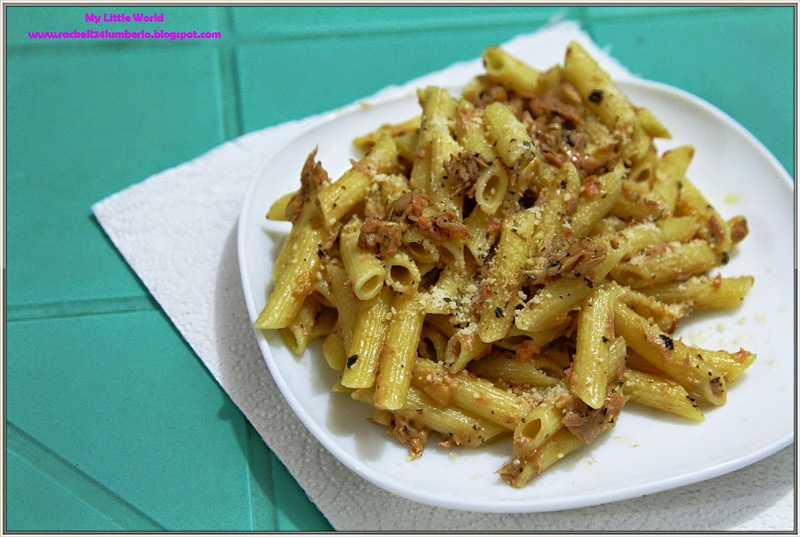 Now, I’m looking for other recipes for pasta, baka meron kayo dyan pa share naman ha.. Thanks in Advance!